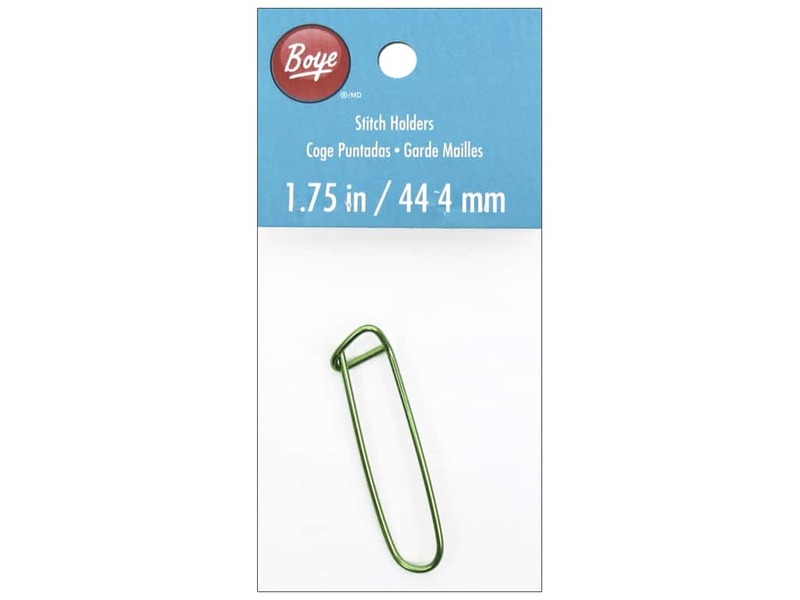 Description: Boye Aluminum Stitch Holders are extra long safety pins that can be used hold stitches that will be used later, such as those for pocket bands, or if shoulder seam stitches are going to be knit together later. 1 3/4 inch (44.4 mm). Boye Stitch Holder 1 3/4 in. Aluminum -- CreateForLess 5.00 out of 5 based on 1 ratings. 1 user reviews.